Augustus Henry FitzRoy, third Duke of Grafton, was the last of those to enjoy relatively short periods as First Lord of the Treasury during the 1760s. Born in September 1735, the death of his father in 1741 and his paternal uncle in 1747 made him heir to his grandfather, the second Duke, Lord Chamberlain to George II. His grandfather was a close associate of the Duke of Newcastle and FitzRoy was brought up within that Whig tradition. He was educated at Hackney School and then Peterhouse, Cambridge (1751-3), before undertaking the Grand Tour. 1756 was an eventful year for Fitzroy. He married a wealthy heiress, Anne Liddell, in January and in November he was appointed Lord of the Bedchamber to the Prince of Wales and elected MP for both Boroughbridge and Bury St Edmunds. Given the familial connection with Suffolk he chose to sit for the latter. Although the marriage produced three children, it was not a happy one: the couple separated in 1764 and were granted a divorce, by Act of Parliament, in 1769. Fitzroy’s tenure as an MP was short too. His grandfather’s death in May 1757 led to his elevation to the Lords and his promotion to Lord Lieutenant of Suffolk. Grafton’s political connections were mixed. During the Seven Years War (1756-63), Grafton, like Newcastle, opposed the peace preliminaries in 1762, losing his Lord Lieutenancy as a result. Grafton was, also, however an admirer of William Pitt the Elder and corresponded frequently with him during the war. In the aftermath of the war, Grafton built up contacts with the major political players, moving away from Newcastle’s orbit and maintaining his links with Pitt. When George III tired of Grenville in the spring of 1765, the King’s uncle, the Duke of Cumberland, was asked to sound out the Marquess of Rockingham, Newcastle, Pitt and Viscount Temple about finding an alternative. Grafton was also consulted, suggesting his increasing importance. He was eventually offered the role of Secretary of State for the Northern Department in the Rockingham administration, a precursor to the modern Foreign Secretary. Pitt had refused office; Grafton’s inclusion gave himthe opportunity to maintain contacts with Pitt. Grafton joined the government believing that Rockingham would make serious efforts to find an accommodation with Pitt. When it became clear that this was not the case, he resigned in May 1766. The Rockingham administration collapsed a few months later and Pitt was finally persuaded to come into office. Pitt had accepted a peerage and chose to be Lord Privy Seal. He therefore, needed someone else to become First Lord of the Treasury. Temple refused but Grafton accepted, initially relying heavily on Pitt for direction and advice. However, Pitt’s ill-health and inability to provide a lead on a day-to-day basis increasingly hampered the effectiveness of the administration. Grafton emerged from Pitt’s shadow during 1767 and royal support persuaded him to take on greater responsibility himself. He was already effectively leader of the administration when Pittstepped down in October 1768. Grafton sought to strengthen his position by building an alliance with some of the opposition groups, while keeping some of Pitt’s supporters, such as the Earl of Shelburne, loyal to him. Lord North was made Chancellor of the Exchequer. Keeping a diverse and strong-willed group of ministers together proved a difficult task. The administration was tested in two ways. John Wilkes had caused trouble for earlier administrations with his press campaign against Bute and his legal victories over ministerial attempts to stop his publications through general warrants. He had, however, been forced to leave Britain. In 1768, he returned and stood as MP first for the City of London, where he lost, and then for Middlesex, where he was elected. The administration had to decide both what to do about Wilkes and how to react to the public disorder that had accompanied the election campaign. The tough line taken on both points led to considerable public dissatisfaction. The administration also decided, narrowly, to keep in place the duties on tea that had been introduced by Charles Townshend, the Chancellor of the Exchequer, in 1767, furthering dissatisfaction in America that would eventually boil over into revolution. Ministerial resignations in early 1770 sapped Grafton’s willingness to continue in office. He waited until the King had secured North’s acceptance of office before resigning. 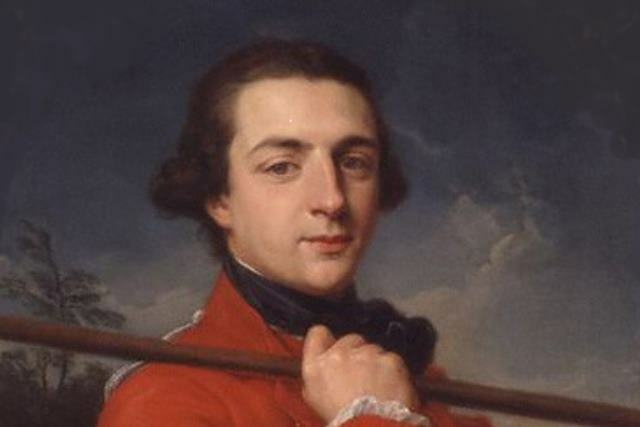 He was initially a supporter of North’s administration, although he went into opposition over America in 1775. An occasional holder of office (he was Lord Privy Seal from 1771-75 and again in 1782-3), he maintained an interest in politics for the rest of his life but devoted increasing attention to his second wife, his Suffolk estates and theological matters. He died in March 1811. He was keen to improve his estates in Suffolk and was an enthusiastic attender at race meetings in Newmarket and Ascot.